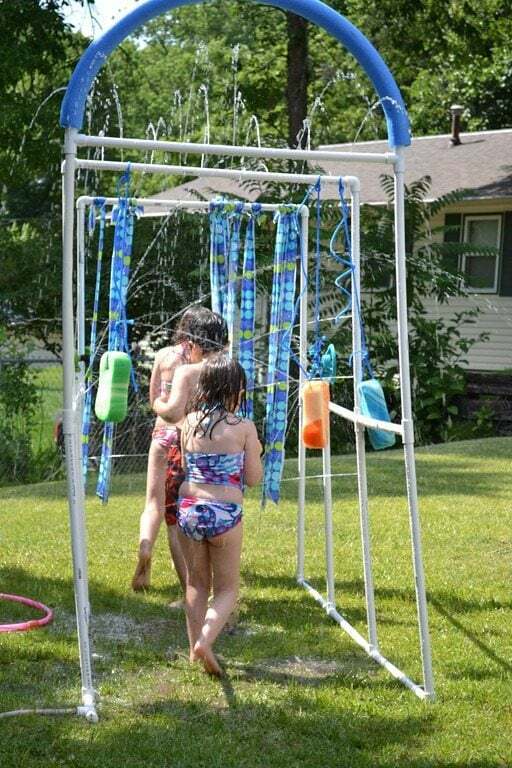 Get the kids outside and having fun this summer. 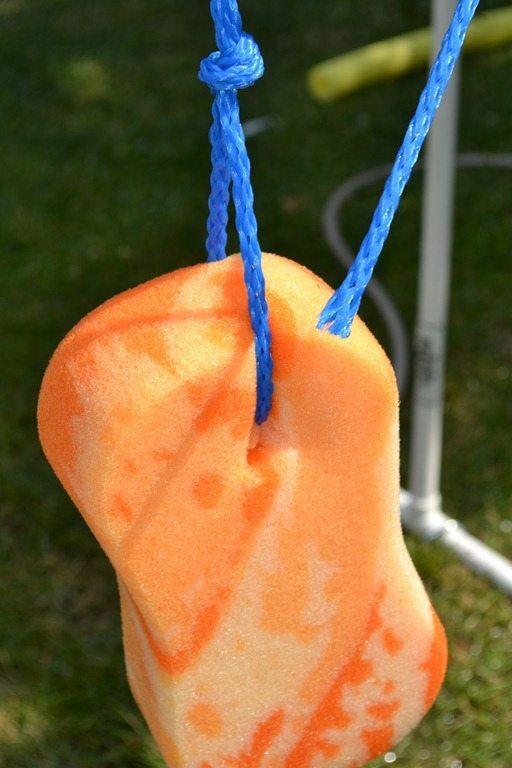 Check out these directions on how easy it is to make your own kiddie car wash. So much fun! A great family diy project. You all know that I am addicted to Pinterest and the creativity it sparks inside of me. 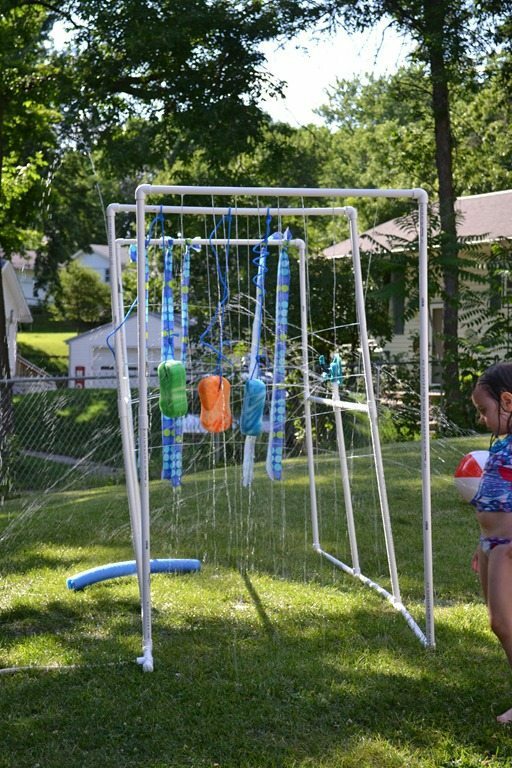 I was bound and determined to make some of these awe-inspiring projects with the kids this summer! Our first project is a biggie, but it will be enjoyed all summer long. We decided to make the Kiddie Car Wash. Now, as a mom, I was a bit nervous that this was going to be 10 times harder than it looked. I am happy to say I was totally wrong. It couldn’t have been easier. You just have to follow the directions step by step. With that said. I did tweak the directions and supply list a bit. After we made it, I wanted it more sturdy and added some fun features. This is a D.I.Y. project. Once you get the feel for how it goes together feel free to change it up a bit for your family. My son, Mason, and I hit up Lowes and Walmart for our supplies. He was the cutest thing I had ever seen with his list in hand. He was the little man helping me pick out the supplies for our project. This was the best part of my day, hands down. One crucial supply that I already had that I did not have to buy was these ratcheting pipe cutters. 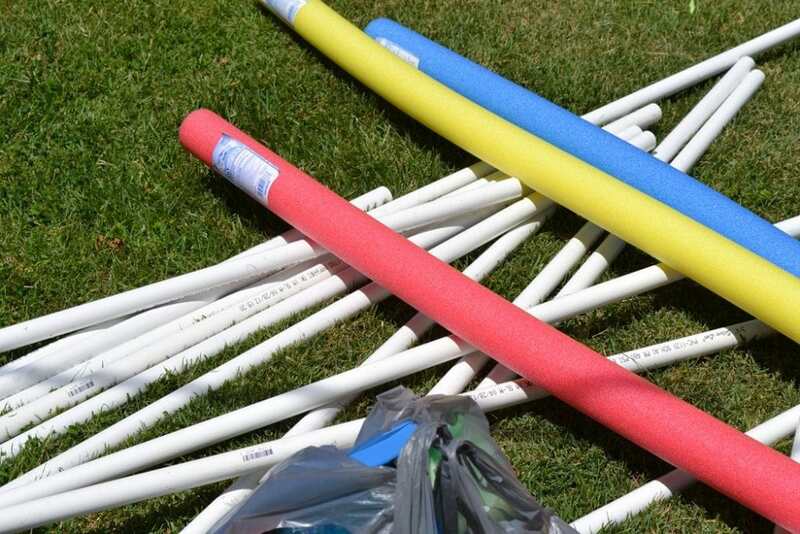 They make cutting the PVC pipe so easy. You will NEED these! Or a really cool saw (which I don’t have). 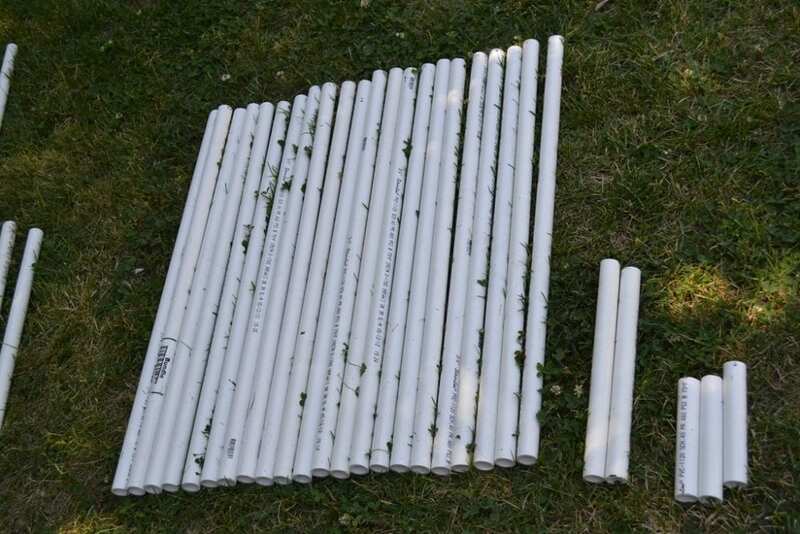 Now it took me about 15-20 minutes to cut all of the PVC Pipe for this project with my pipe cutters. It probably would have taken me a little less time but I was refereeing a water fight in the backyard too! 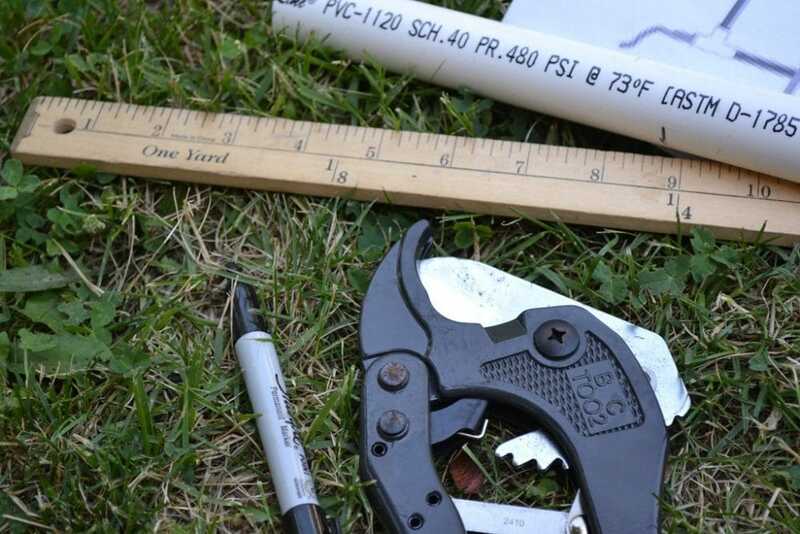 You will want to print this complete list of PVC sizes and PVC fittings you will need to put this project together. It is a lifesaver when you are in the middle of Lowes and have no idea what you are looking for. When the guy comes over and asks you if you need help finding something…hand him the list ~giggle~. For some reason, the pipe fittings are sold individually and in packs of 10 for contractors. The packs of 10 are much much cheaper! Now, this was version #1. I followed the directions from Family Fun Magazine. It wasn’t as sturdy as I wanted it. Our yard isn’t very level and the kids kept knocking it (which they should be able to do) and it was really wobbly. I fixed it by making a couple changes noted in the directions. Here is the final version. We added a couple more pieces of pipe to make it more sturdy. If you want to give it a try. 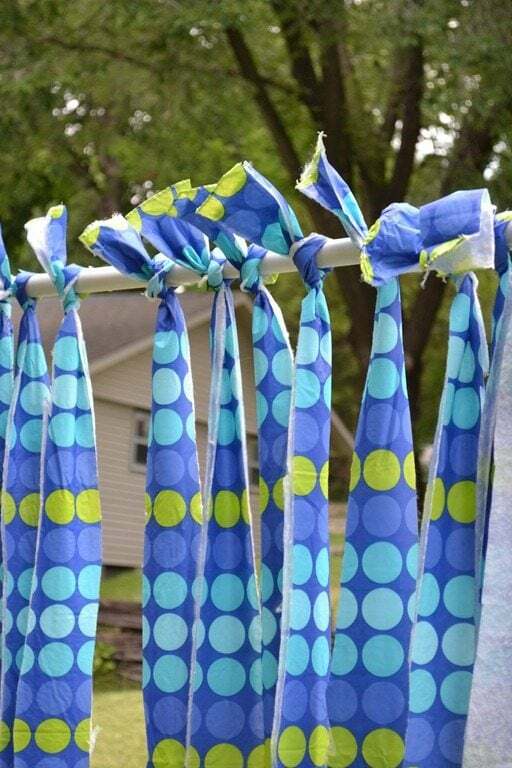 Here are the directions and supply list for our Kiddie Car Wash. Then I bought these “u shaped” brackets at lowes and they are perfect to hold this down to the ground. I just removed the nuts and the cross piece. It was like they were made for this project. My favorite part of our car wash is these sprinklers that we found in target for $2.75 each. We bought male 3/4” fittings and attached them super easy. 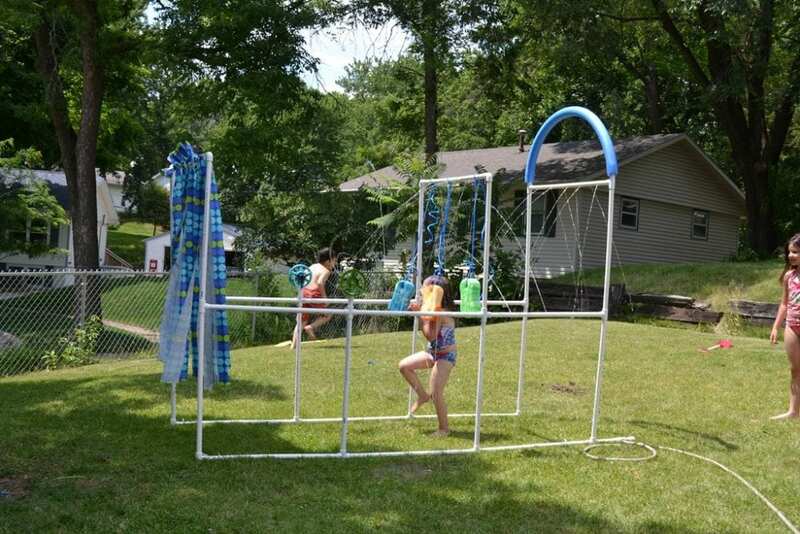 The water makes them spin and the kids squeal as they run past. We can also turn them to spray on the outside instead of the inside if we want. The curtain at the end is just a vinyl tablecloth that I bought for a couple dollars and cut into strips. I tied it at the top. This tablecloth had a cotton lining. Don’t buy a tablecloth with a cotton lining. It holds the water and makes it heavier on that end. Causes it to lean a little. We found these large colorful sponges in the auto section at Walmart just $1.60 each. 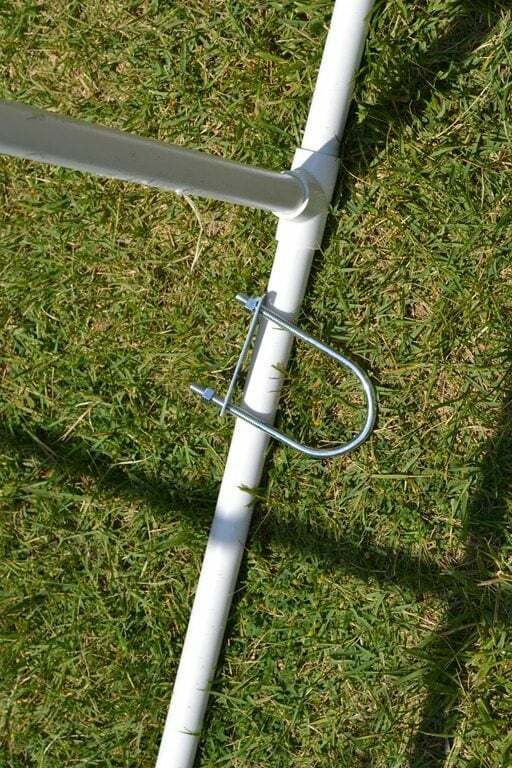 I bought vinyl rope from the outdoor section (used for boats). I wanted it to hold up to all the outdoor water use. Now that we know how easy it is to put together and to add different couplings. I am sure we will add a couple features to our car wash as the summer goes on. It is like a tinker toy project for my son and the kids have loved playing in it. I would totally make this again! Here are the complete printable instructions for this project! Looks like fun!!!! Do you mind giving me a ball park figure of how much something like this would cost? Thank you. I am going to make this for our week of stay cation what a great adventure making this together as a family and then enjoying it as well. We are also putting a tent in the living room/ I will also do a big deal with smores in the bbq pit out back. We got big ideas on the way to handle making them. We are also doing two rubbermaid totes full of water ballons as well to add to the fun. It is so easy when you spend very little to have some great fun. It takes some work, but it is also work to pack everyone to go away and get them all ready for the activities while we are away. I am skipping all of that and getting really creative at home. We are getting some great food delivered as well. I am trying Omaha steaks and Swanson foods for our staycation. We swapped homes with our next door neighboors. So we are very close for clothing etc. but we sleep in the tents that we each have in the living rooms it is awesome fun and we are sharing the car wash with the neighboors as well. Hi! 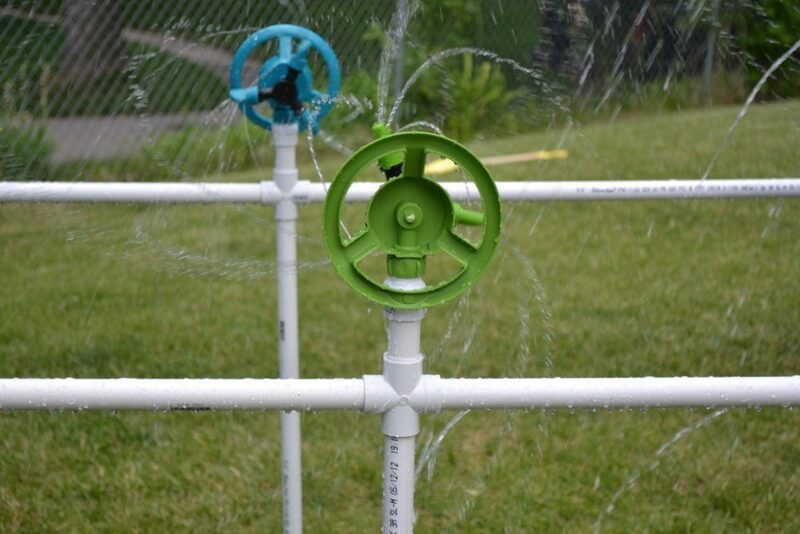 This looks great and I’m hoping to get to it this summer, my question is, did you use pipe glue to hold it together, or did you just fit it together so you can take it apart in the winter? I just fit it together so I could take it apart. You can buy plumbing tape at the hardware store and wrap the ends of the pipes with it. It helps create a tighter seal. We had it wiggle apart a couple times while the kids played, but we would just squeeze it back together and they were good to go.